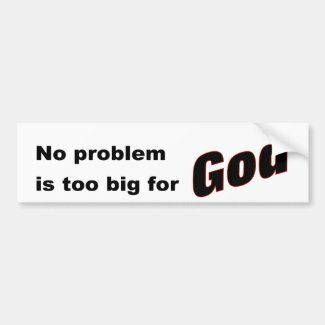 “No problem is too big for God” bumper sticker. All the best Christian bumper sticker quotes and sayings. Design by Diligent Heart. Make your own bumpersticker at zazzle.com.